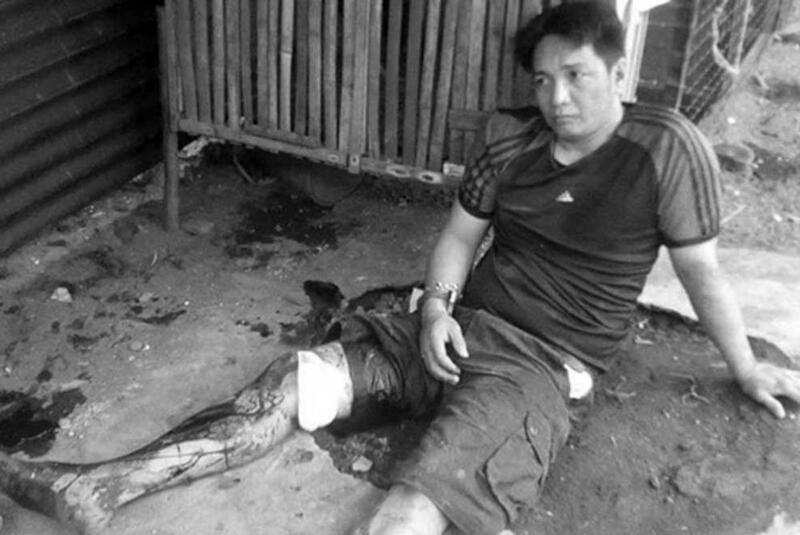 LUCENA CITY - A suspected drug pusher who was wounded in a shootout with policemen during a buy-bust operation in Bgy. Dalahican turned out to be among the city’s most wanted felons. Newly-installed city police director Supt. Reydante Ariza said Christian Aquino, 35, who sustained a bullet wound in the right leg, has been listed fourth in the city’s 10 most wanted men. In his report to Quezon police director Senior Supt. Osmundo de Guzman, Ariza said Aquino faces murder charges. He said prior to the arrest, one of the operatives was able to buy suspected shabu from Aquino at around 5 p.m. in exchange for a marked P1,000 bill. “But when my men was about to collar him (Aquino), he quickly stepped back and pulled a revolver,” said Ariza. He said Aquino pulled the revolver’s trigger but it jammed. “At that point, one of the operatives shot the suspect, hitting him in the right leg,” Ariza said. But despite the bullet wound, he said the suspect still managed to get away but was eventually cornered by the pursuing lawmen. Seized from the suspect were a cal. .38 revolver, three small plastic sachets containing suspected shabu and the marked P1,000 bill. He was detained at the City Lock-Up Jail pending his commitment order from the court and was charged with violation of the Comprehensive Dangerous Drugs Act of 2002 and Comprehensive Firearms and Ammunition Regulation Act of 2013.